Today, the Mall of America became one of the first US retailers to get an indoor Google interactive map. This pretty cool feature helps you navigate your way around the megamall. Can't find Cinnabon (we know you love it)? Just use your smart phone and ta-dah! The only downfall? 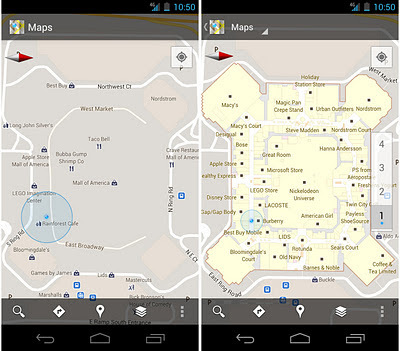 At the moment, indoor maps are only available to Android mobile users. Finally, something *I* can do that iPhone users can't. This is way cool! Mall of America is so big, it has to have its very own Google map! Apparently, Mall of America is so huge that it takes a Google map to navigate it. Sweet!